On the eponymous debut album by Building Instrument we encounter a band that has taken plenty of time to distil its essence into a distinctive mode of expression. This is a rare quality in our modern day, whose underlying mantra is that everything must happen NOW. The trio are finally releasing their first album, six years after the group was established, and expectations are high. The concerts they have presented have made a lasting impression on many audience members. After one concert the Irish Times wrote: “[I]t’s a pleasure to discover their creativity and cheerfully aggressive attitude to music ... It’s exciting to watch, very accessible and highly emotive.” The members of the trio Building Instrument are Mari Kvien Brunvoll (vocals, sampler, zither, percussion, kazoo), Øyvind Hegg-Lunde (drums and percussion) and Åsmund Weltzien (synthesizer, electronics, melodica). Drummer Øyvind Hegg-Lunde plays in two bands that have recently released records, the Big Almost and Crab is Crap, with Ståle Storløkken, and is currently on a world tour with José Gonzalez of Sweden and his band, Junip. Åsmund Weltzien plays with Thea Næss. Vocalist Mari Kvien Brunvoll from Molde is singing in Norwegian for the first time on this album, and is even using her local Molde dialect. She has been described as “an exceptional talent” by pianist Bugge Wesseltoft, who released her first solo album on his Jazzland label. The album was nominated for a Spellemannspris (Norwegian Grammy) in the open category. Her second album, also nominated in the same category, presented her duo collaboration with Stein Urheim, who also has a new release out on the HUBRO label. The song “Everywhere You Go”, from her solo album, earned her a new, large audience when the ubiquitous musician and DJ Ricardo Villalobos discovered the song and created a long and inspired remix of it. At the end of 2013 she also released a little lo-fi masterpiece of an album with the duo Tim Tygg. Mari has toured extensively as a solo artist, and has a unique ability to fire up an audience. The trio began to play together in Bergen in 2008, and their original idea was to explore electronic music. This project was quickly abandoned in favour of a more acoustic and home-grown focus. The members of the trio have now found their own self-defined niche within a genre that could be described as a no-man’s-land. Their material is largely improvised and playfully invented as an ensemble. One of the trio’s most striking features is their mastery of the arts of both self-restraint and boldly letting everything loose. The musical leaps taken by the trio seem to be entirely seamless, from catchy rhythms through freely improvised sections to emotionally charged melodies. 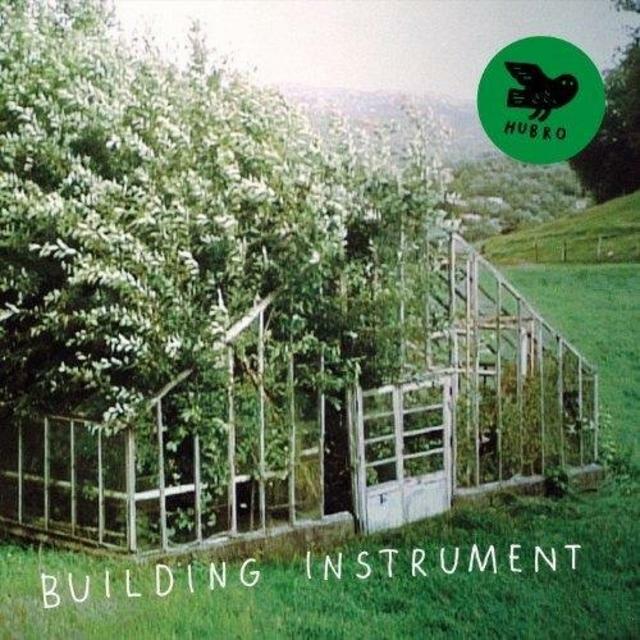 Building Instrument’s debut album was recorded over a long period of time, and is a release that has definitely been worth waiting for. The band knows how to impress and move the listener with music that is elegant, imaginative and sensitive.